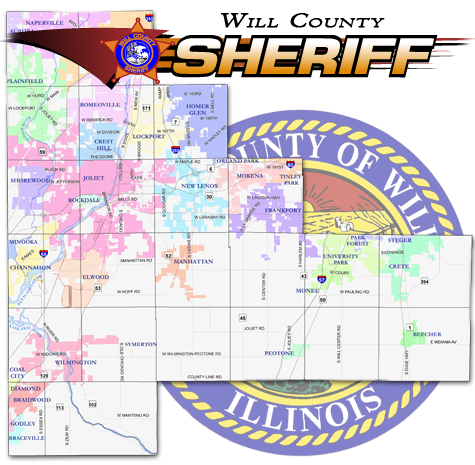 This site is dedicated to the active warrants of Will County. Please take some time to look around, search through the data. There are even maps for the visual person. And if by chance you happen to come across someone you know, drop us a line with some information so we can reach and meet them. So together we clear up these active, outstanding arrest warrants. A court order authorizing your arrest for a crime you have committed. How Is A Warrant Issued? After being arrested for a crime you are given the opportunity to pay a fine or appear before a Judge. If you do not comply with either of these methods, a warrant may be issued for your arrest for the original crime committed. In addition, an arrest warrant can be issued from evidence collected in a crime report submitted to the District Attorney indicating possible guilt. This is an Arrest Warrant. How Do I Turn Myself In? If you have an active warrant, please go to your local police department to turn yourself in and get the warrant taken care of. Will The Warrant Go Away If I Ignore It? No it will not. The warrant will remain active in the system until it has been served. Head on over to our Frequently Asked Questions for more. Do you by chance work with someone on the list? Maybe in the cubicle one over? Please let us know and maybe we can stop by for an impromptu meeting. Do you live next to or by someone on our list? Maybe you borrowed a cup of sugar from them. Let us know and maybe we can arrange to have a cup of tea at their home. Catch a sibling with a hand in the cookie jar? Want to let us know anonymously? You can do that with our contact form. Any information you might have to share would be greatly appreciated. Information like vehicles, friends, relatives, places they like to stay or hang out at, place of employment, contact information, etc. We are collecting everything we can to help find these individuals.